For most, Independence Day is a time to celebrate a hard-fought-for freedom, whether from the tyranny of British colonial rule or from aliens who didn’t update their antivirus software in a timely manner. 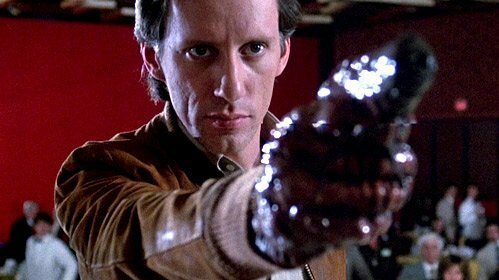 Not all freedom is necessarily desired, however, as James Woods proved when he announced that his agent was dropping him as a client on July 4th. The Videodrome and Once Upon a Time in America star has become more better known for his social media usage than his acting in recent years. Woods routinely uses Twitter to espouse his conservative political views. Woods claims to have been a Democrat until the impeachment of Bill Clinton. He is a keen supporter and vocal defender of Donald Trump. James Woods will next be seen in the forthcoming video game Kingdom Hearts III, where he will reprise his role of Hades from Disney’s version of Hercules.